It is indeed a good start for aspirants wishing to apply for Canada PR visa, as Canada has released its annual immigration target for the year 2018 which is more than the previous year 2017. New province has started accepting applications for Canada’s most popular Provincial Nomination program. Alberta has launched its new Provincial Nomination Program on 2nd January 2018 under Express Entry Stream. The new program will have Alberta the advantage to choose candidates from federal Express Entry pool. 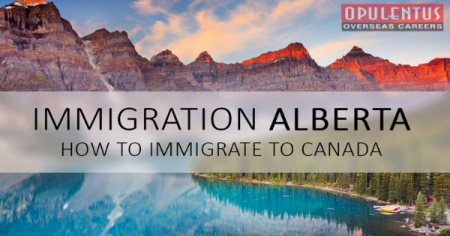 Under this program, Alberta is allowed to issue maximum of 5,500 provincial nomination certificates, as informed by Immigration Refugee and Citizenship Canada (IRCC). This program will initially concentrate on inviting the candidates falling under the shortage occupation. Few of the occupations falling under the current list are Nurse Supervisors, Registered nurses, Medical Technologists and Technicians, Computer and Information System Professionals, Construction Managers, Transportation Managers, Sales and Service Supervisors etc.